When Ruth Huxley knew she was going to embark on such an ambitious project and had to turn a concrete box into a beautiful, independent grocery store that were the purveyors of fine Cornish produce, she knew she needed someone who had the experience, the history and the understanding of what it takes to transform a vision into a reality. 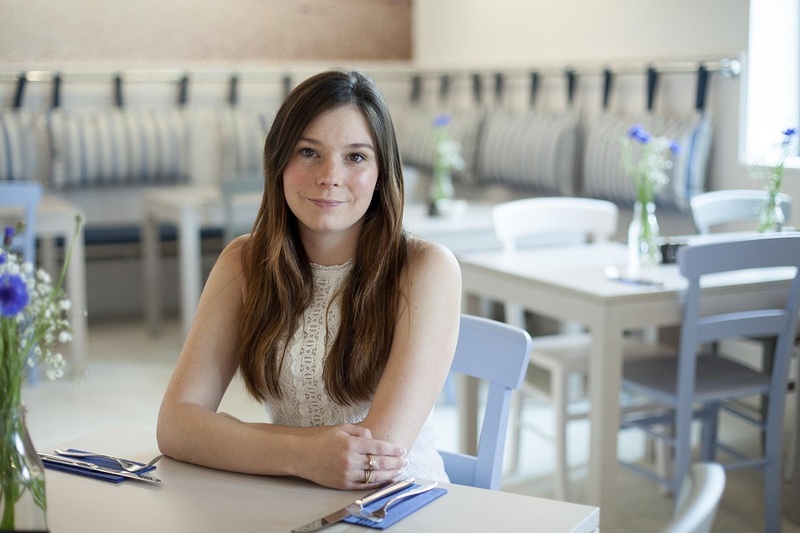 After visiting the award-winning Gloucester Services on the M5, Ruth knew who she had to find. 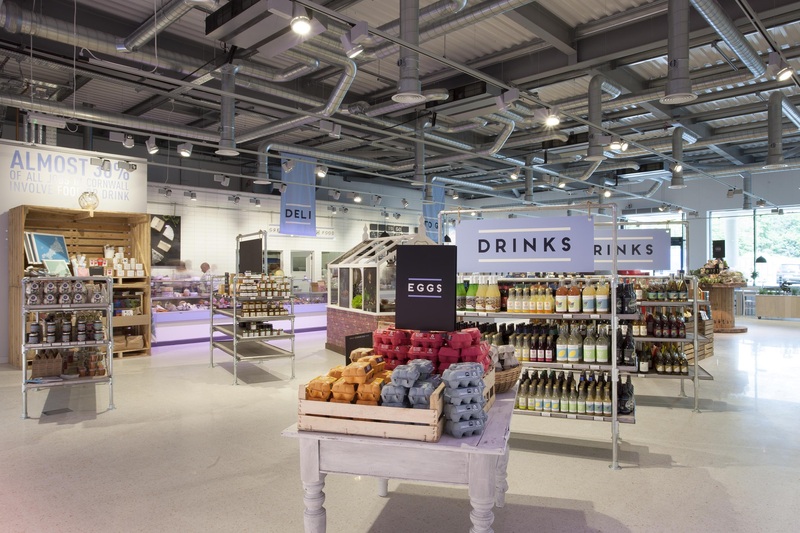 Jane Sanderson, oversaw the design, development and fit out of Gloucester Services, whilst Head of Design at Tebay Services. The project was completed in May 2014 on time and on budget. It was then at this point that Jane decided to go freelance and use her experience to work with a greater variety of clients. 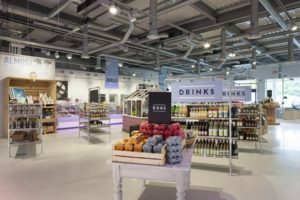 “I could see Ruth’s amazing vision for the Store, what it would mean for the industry, how it would transform the consumer experience and the fantastic and experienced team that she had pulled together to deliver this. I wanted to be a part of this and help make it happen”. Jane enjoys working with a small team, getting deeply involved in the ‘nitty gritty’ detail of the project and finds working from a blank piece of paper or with an empty concrete shell, a positive, creative process. “Every project is personal to me. I become emotionally involved and it is important to me that I can work with people who have the same ethos and attitude when it comes to delivering a project of this size and nature. 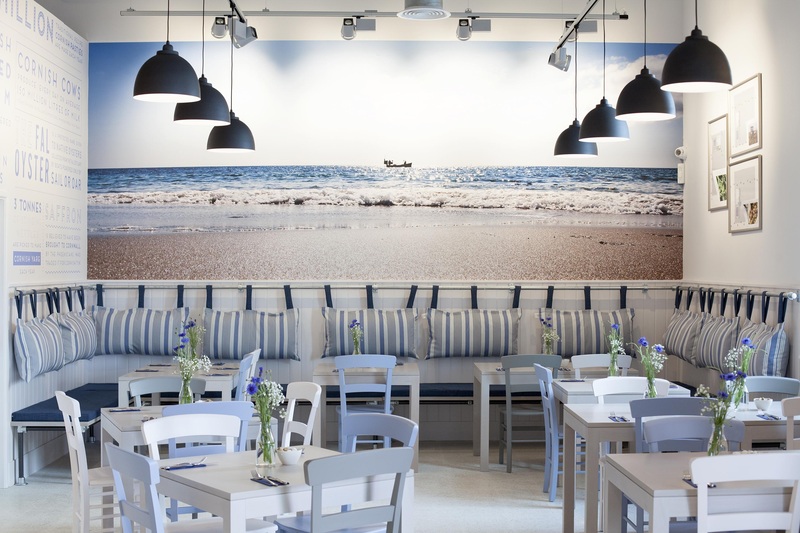 Working with Ruth and in Cornwall has been an amazing and rewarding experience and where I have engaged with local references and details, they will be enjoyed by everyone who visits and uses the Store”. Jane also worked closely with graphic design agency, Design by Channel, based in Hayle in Cornwall, who are responsible for the Great Cornish Food branding.